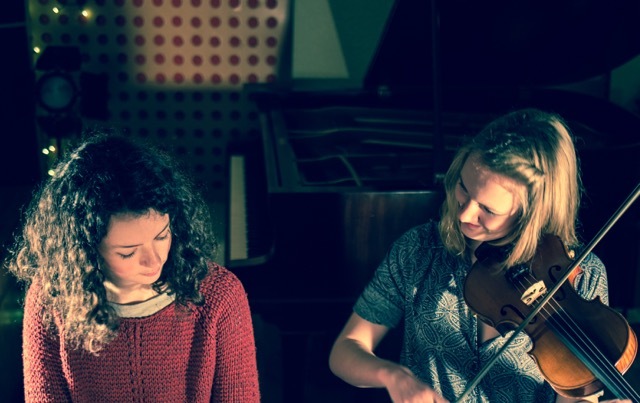 Sally Simpson and Catriona Hawksworth form a striking and dynamic fiddle and piano duo playing repertoire from the Scottish traditions alongside new compositions. Their music is primarily influenced by Scottish music whilst also incorporating elements of traditions from further afield. Their sound is intimate and personal, focusing on the link between the two musicians, making full use of dynamics and textures, whilst respecting the traditions from which their music is taken. Sally and Catriona have played together for many years having coincidently followed similar musical paths. Both musicians began playing at a young age, learning classical as well as folk and traditional music. They then developed their playing at the RSAMD Junior Academy, followed by some time studying at the National Centre for Excellence in Traditional Music in Plockton. Sally then went on to study Scottish Traditional Music at RCS, graduating with a 1st Class Honours Degree. Catriona is currently studying Folk and Traditional Music at Newcastle University. Both spent a year abroad in Sweden through the Erasmus programmes at their respective universities, which gives their music a unique edge. Having performed together at a young age, winning the Orkney Folk Festival Open Stage in 2012, they are now returning to their duo format, and released their first album, ‘Duo’ in June 2017.